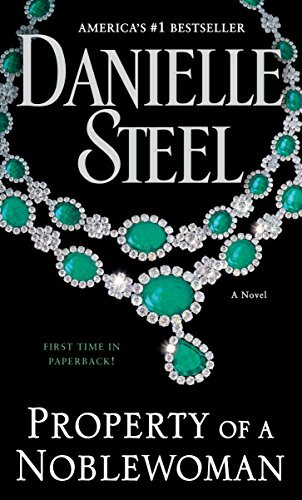 9780345531117 | Delacorte Pr, January 3, 2017, cover price $28.99 | About this edition: #1 NEW YORK TIMES BESTSELLER • Incomparable storyteller Danielle Steel illuminates rarely glimpsed precincts of unimaginable wealth and power, where love and freedom are the most dangerous desires of all. 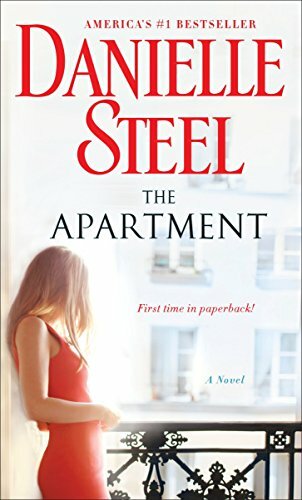 9780735210035 | Large print edition (Random House Large Print, January 3, 2017), cover price $29.00 | About this edition: #1 NEW YORK TIMES BESTSELLER â¢ Incomparable storyteller Danielle Steel illuminates rarely glimpsed precincts of unimaginable wealth and power, where love and freedom are the most dangerous desires of all. 9781101883853 | Delacorte Pr, November 1, 2016, cover price $28.99 | About this edition: NEW YORK TIMES BESTSELLER • Capturing historical events, terrifying moments of danger, tragedy, the price of war, and the invincible spirit of a woman of honor, The Award is a monumental tale from one of our most gifted storytellers—Danielle Steel’s finest, most emotionally resonant novel yet. 9780735210028 | Large print edition (Random House Large Print, November 1, 2016), cover price $29.00 | About this edition: NEW YORK TIMES BESTSELLER â¢ Capturing historical events, terrifying moments of danger, tragedy, the price of war, and the invincible spirit of a woman of honor, The Award is a monumental tale from one of our most gifted storytellersâDanielle Steelâs finest, most emotionally resonant novel yet. 9781455834273 | Abridged edition (Brilliance Audio, October 4, 2016), cover price $9.99 | also contains Pegasus | About this edition: #1 New York Times bestselling author Danielle Steel delivers one of her strongest books to date with this trans-generational narrative that draws inspiration from her own family history. 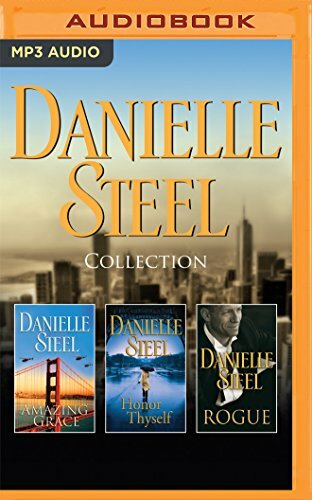 9781455834266 | Abridged edition (Brilliance Audio, November 24, 2015), cover price $14.99 | About this edition: #1 New York Times bestselling author Danielle Steel delivers one of her strongest books to date with this trans-generational narrative that draws inspiration from her own family history. 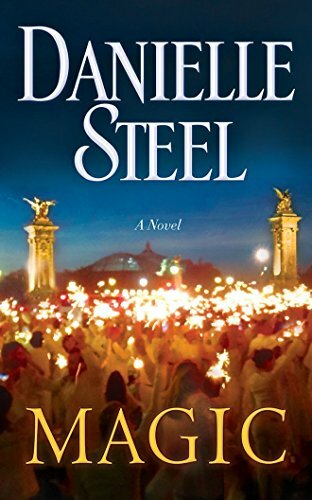 9781511325233 | Mp3 una edition (Brilliance Audio, November 24, 2015), cover price $9.99 | About this edition: #1 New York Times bestselling author Danielle Steel delivers one of her strongest books to date with this trans-generational narrative that draws inspiration from her own family history. 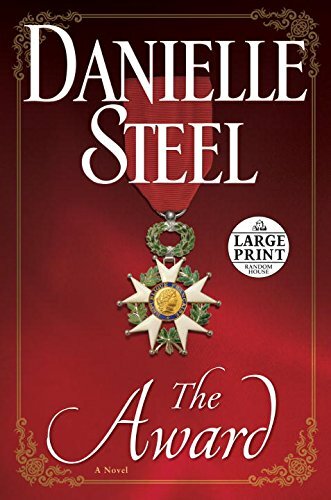 9781511325226 | Unabridged edition (Brilliance Audio, November 24, 2015), cover price $19.99 | About this edition: #1 New York Times bestselling author Danielle Steel delivers one of her strongest books to date with this trans-generational narrative that draws inspiration from her own family history. 9780345530974 | Delacorte Pr, October 28, 2014, cover price $28.00 | About this edition: A multigenerational narrative inspired by the best-selling author's own family history traces the efforts of an aristocratic German family to find refuge for themselves and their magnificent horses in post-World War II America. 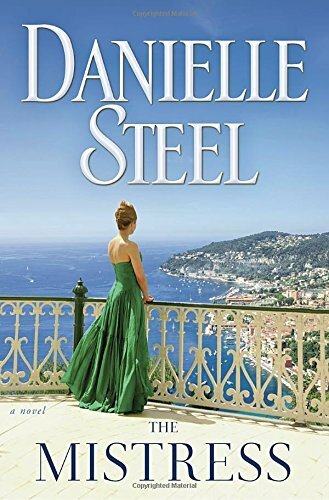 9780345530981 | Dell Pub Co, November 24, 2015, cover price $7.99 | About this edition: NEW YORK TIMES BESTSELLERIn a rich historical novel of family and World War II, #1 New York Times bestselling author Danielle Steel unfurls a powerful saga that spans generations and continents. 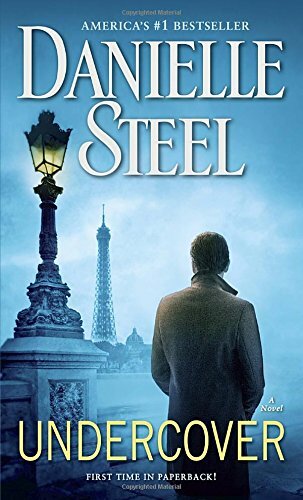 9780552166140 | Gardners Books, September 1, 2015, cover price $13.50 | About this edition: #1 New York Times bestselling author Danielle Steel delivers one of her strongest books to date with this trans-generational narrative that draws inspiration from her own family history. 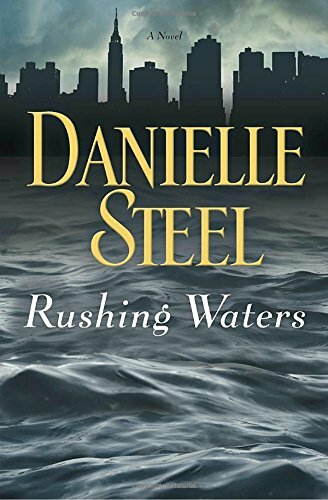 9780593068939 | Gardners Books, October 23, 2014, cover price $23.65 | About this edition: NEW YORK TIMES BESTSELLERIn a rich historical novel of family and World War II, #1 New York Times bestselling author Danielle Steel unfurls a powerful saga that spans generations and continents. 9780345531056 | Delacorte Pr, January 19, 2016, cover price $28.95 | About this edition: #1 NEW YORK TIMES BESTSELLERGinny Carter was once a rising star in TV news, married to a top anchorman, with a three-year-old son and a full and happy life in Beverly Hills—until her whole world dissolved in a single instant on the freeway two days before Christmas. 9780425285404 | Reprint edition (Dell Pub Co, September 20, 2016), cover price $8.99 | also contains Blue | About this edition: #1 NEW YORK TIMES BESTSELLERGinny Carter was once a rising star in TV news, married to a top anchorman, with a three-year-old son and a full and happy life in Beverly Hills—until her whole world dissolved in a single instant on the freeway two days before Christmas. 9780399566806 | Large print edition (Random House Large Print, January 19, 2016), cover price $29.00 | About this edition: #1 NEW YORK TIMES BESTSELLERGinny Carter was once a rising star in TV news, married to a top anchorman, with a three-year-old son and a full and happy life in Beverly Hills—until her whole world dissolved in a single instant on the freeway two days before Christmas. 9781511395533 | Mp3 una edition (Brilliance Audio, September 20, 2016), cover price $19.99 | About this edition: AMAZING GRACE: The lives of four unforgettable characters collide in Danielle Steelâs compelling novel, as a shocking natural disaster transforms each of them forever, leading to journeys of change and revelation, courage and grace. 9781511335607 | Abridged edition (Brilliance Audio, November 19, 2015), cover price $14.99 | About this edition: Amazing GraceIn the aftermath of a San Francisco earthquake, the lives of four strangers will converge. 9781511391061 | Unabridged edition (Brilliance Audio, September 20, 2016), cover price $19.99 | About this edition: Ginny Carter was once a rising star in TV news, married to a top anchorman, with a three-year-old son and a full and happy life in Beverly Hills—until her whole world dissolved in a single instant on the freeway two days before Christmas. 9781511391078 | Mp3 una edition (Brilliance Audio, September 20, 2016), cover price $14.99 | About this edition: Ginny Carter was once a rising star in TV news, married to a top anchorman, with a three-year-old son and a full and happy life in Beverly Hills—until her whole world dissolved in a single instant on the freeway two days before Christmas. 9781455833740 | Mp3 una edition (Brilliance Audio, January 19, 2016), cover price $24.99 | About this edition: Ginny Carter was once a rising star in TV news, married to a top anchorman, with a three-year-old son and a full and happy life in Beverly Hills—until her whole world dissolved in a single instant on the freeway two days before Christmas. 9781455833603 | Abridged edition (Brilliance Audio, January 19, 2016), cover price $24.99 | About this edition: Ginny Carter was once a rising star in TV news, married to a top anchorman, with a three-year-old son and a full and happy life in Beverly Hills—until her whole world dissolved in a single instant on the freeway two days before Christmas. 9781455833320 | Unabridged edition (Brilliance Audio, January 19, 2016), cover price $38.99 | About this edition: Ginny Carter was once a rising star in TV news, married to a top anchorman, with a three-year-old son and a full and happy life in Beverly Hills—until her whole world dissolved in a single instant on the freeway two days before Christmas. 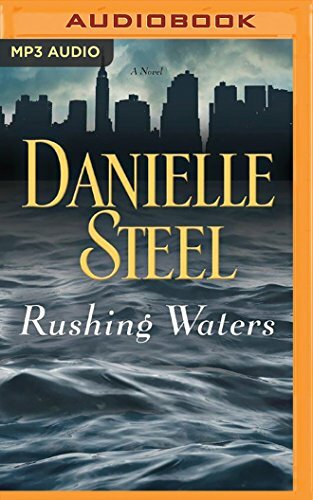 9780345531094 | Delacorte Pr, August 30, 2016, cover price $28.99 | About this edition: NEW YORK TIMES BESTSELLER • Danielle Steel fearlessly tackles a catastrophe and its aftermath with characters who are joined together by accident, then share their vulnerabilities, regrets, losses, and hopes. 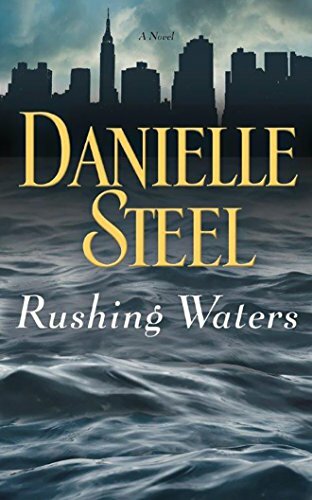 9780735210011 | Large print edition (Random House Large Print, August 30, 2016), cover price $29.00 | About this edition: NEW YORK TIMES BESTSELLER • Danielle Steel fearlessly tackles a catastrophe and its aftermath with characters who are joined together by accident, then share their vulnerabilities, regrets, losses, and hopes. 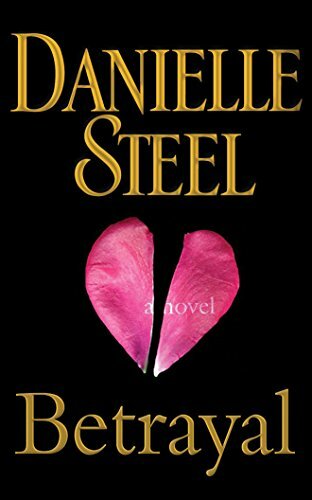 9780345537225 | Limited edition (Delacorte Pr, April 24, 2012), cover price $200.00 | also contains Betrayal | About this edition: This cloth-bound special edition of Danielle Steel’s Betrayal is enhanced with gold leaf, comes with a special slip case, and is signed by the author. 9780552159050 | Gardners Books, February 28, 2013, cover price $13.50 | also contains Betrayal | About this edition: At thirty-nine, Tallie Jones is a Hollywood legend. 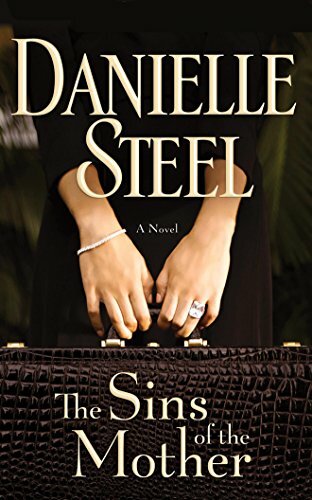 9780440245223 | Reprint edition (Dell Pub Co, January 29, 2013), cover price $7.99 | also contains Betrayal | About this edition: In this riveting novel, Danielle Steel reveals the dark side of fame and fortune, when a renowned film director confronts an act of unimaginable treachery. 9780593063118 | Gardners Books, March 1, 2012, cover price $23.20 | also contains Betrayal | About this edition: Tallie Jones is a Hollywood legend. 9781491515297 | Mp3 una edition (Brilliance Audio, May 6, 2014), cover price $14.99 | About this edition: At thirty-nine, Tallie Jones is a Hollywood legend. 9781423388470 | Abridged edition (Brilliance Audio, January 29, 2013), cover price $14.99 | About this edition: At thirty-nine, Tallie Jones is a Hollywood legend. 9781469273426 | Unabridged edition (Brilliance Audio, January 29, 2013), cover price $19.99 | About this edition: At thirty-nine, Tallie Jones is a Hollywood legend. 9781469273433 | Mp3 una edition (Brilliance Audio, January 29, 2013), cover price $14.99 | About this edition: At thirty-nine, Tallie Jones is a Hollywood legend. 9781423388401 | Unabridged edition (Brilliance Audio, March 27, 2012), cover price $38.99 | About this edition: At thirty-nine, Tallie Jones is a Hollywood legend. 9781455833528 | Abridged edition (Brilliance Audio, July 5, 2016), cover price $24.99 | About this edition: A dazzling contemporary novel that vividly portrays the glamorous White Dinners that occur annually in Paris, and the ups and downs of three interconnected couples for whom the dinners have become a tradition, from #1 New York Times bestselling author Danielle Steel. 9781455833245 | Unabridged edition (Brilliance Audio, July 5, 2016), cover price $38.99 | About this edition: A dazzling contemporary novel that vividly portrays the glamorous White Dinners that occur annually in Paris, and the ups and downs of three interconnected couples for whom the dinners have become a tradition, from #1 New York Times bestselling author Danielle Steel. 9781455833665 | Mp3 una edition (Brilliance Audio, July 5, 2016), cover price $24.99 | About this edition: A dazzling contemporary novel that vividly portrays the glamorous White Dinners that occur annually in Paris, and the ups and downs of three interconnected couples for whom the dinners have become a tradition, from #1 New York Times bestselling author Danielle Steel. 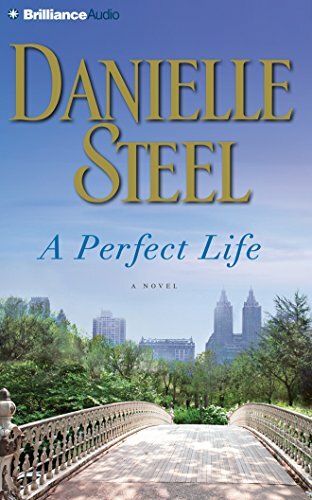 9780345530950 | Dell Pub Co, June 30, 2015, cover price $7.99 | also contains A Perfect Life | About this edition: NEW YORK TIMES BESTSELLERFrom Danielle Steel comes a heartwarming and inspirational novel about a mother and daughter who face challenges, cope with celebrity, and overcome tragedy while maintaining the outward appearance of . 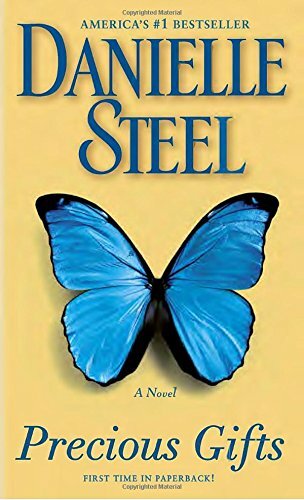 9780593068601 | Gardners Books, July 17, 2014, cover price $23.65 | also contains A Perfect Life | About this edition: NEW YORK TIMES BESTSELLERFrom Danielle Steel comes a heartwarming and inspirational novel about a mother and daughter who face challenges, cope with celebrity, and overcome tragedy while maintaining the outward appearance of . 9781511325240 | Unabridged edition (Brilliance Audio, October 6, 2015), cover price $19.99 | also contains A Perfect Life | About this edition: From #1 New York Times bestselling author Danielle Steel comes a heartwarming and inspirational novel about a mother and daughter who face challenges, cope with celebrity, and overcome tragedy while maintaining the outward appearance of…A Perfect LifeThe epitome of intelligence, high-powered energy, and grace, Blaise McCarthy is an icon in the world of television news, asking the tough questions and taking on the emotionally charged issues of world affairs and politics with courage and insight. 9781455834235 | Abridged edition (Brilliance Audio, June 30, 2015), cover price $14.99 | also contains A Perfect Life | About this edition: From #1 New York Times bestselling author Danielle Steel comes a heartwarming and inspirational novel about a mother and daughter who face challenges, cope with celebrity, and overcome tragedy while maintaining the outward appearance ofâ¦A Perfect LifeThe epitome of intelligence, high-powered energy, and grace, Blaise McCarthy is an icon in the world of television news, asking the tough questions and taking on the emotionally charged issues of world affairs and politics with courage and insight. 9781455833542 | Abridged edition (Brilliance Audio, July 22, 2014), cover price $24.99 | About this edition: From #1 New York Times bestselling author Danielle Steel comes a heartwarming and inspirational novel about a mother and daughter who face challenges, cope with celebrity, and overcome tragedy while maintaining the outward appearance ofâ¦A Perfect LifeThe epitome of intelligence, high-powered energy, and grace, Blaise McCarthy is an icon in the world of television news, asking the tough questions and taking on the emotionally charged issues of world affairs and politics with courage and insight. 9781455833269 | Unabridged edition (Brilliance Audio, July 22, 2014), cover price $38.99 | About this edition: From #1 New York Times bestselling author Danielle Steel comes a heartwarming and inspirational novel about a mother and daughter who face challenges, cope with celebrity, and overcome tragedy while maintaining the outward appearance ofâ¦A Perfect LifeThe epitome of intelligence, high-powered energy, and grace, Blaise McCarthy is an icon in the world of television news, asking the tough questions and taking on the emotionally charged issues of world affairs and politics with courage and insight. 9780606372671 | Turtleback Books, June 30, 2015, cover price $18.40 | also contains A Perfect Life | About this edition: FOR USE IN SCHOOLS AND LIBRARIES ONLY. 9780735210004 | Large print edition (Random House Large Print, July 5, 2016), cover price $29.00 | About this edition: #1 NEW YORK TIMES BESTSELLERIt starts on a summer evening, with the kind of magic found only in Paris. 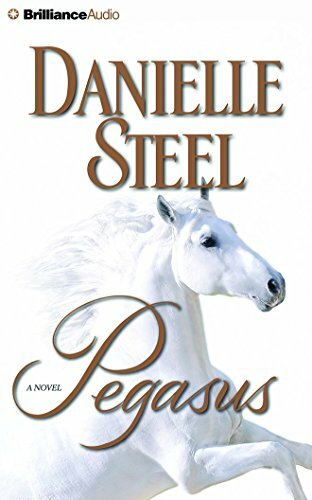 9780345530943 | Delacorte Pr, July 22, 2014, cover price $28.00 | About this edition: NEW YORK TIMES BESTSELLERFrom Danielle Steel comes a heartwarming and inspirational novel about a mother and daughter who face challenges, cope with celebrity, and overcome tragedy while maintaining the outward appearance of . 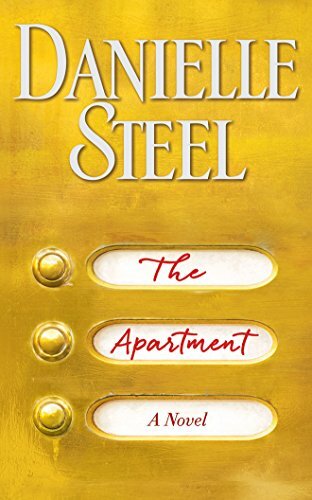 9780804194419 | Large print edition (Random House Large Print, July 22, 2014), cover price $28.00 | About this edition: NEW YORK TIMES BESTSELLERFrom Danielle Steel comes a heartwarming and inspirational novel about a mother and daughter who face challenges, cope with celebrity, and overcome tragedy while maintaining the outward appearance of . 9781455834242 | Abridged edition (Brilliance Audio, July 5, 2016), cover price $9.99 | also contains A Perfect Life | About this edition: From #1 New York Times bestselling author Danielle Steel comes a heartwarming and inspirational novel about a mother and daughter who face challenges, cope with celebrity, and overcome tragedy while maintaining the outward appearance ofâ¦A Perfect LifeThe epitome of intelligence, high-powered energy, and grace, Blaise McCarthy is an icon in the world of television news, asking the tough questions and taking on the emotionally charged issues of world affairs and politics with courage and insight. 9781455833382 | Unabridged edition (Brilliance Audio Lib Edn, July 5, 2016), cover price $79.97 | About this edition: A dazzling contemporary novel that vividly portrays the glamorous White Dinners that occur annually in Paris, and the ups and downs of three interconnected couples for whom the dinners have become a tradition, from #1 New York Times bestselling author Danielle Steel. 9780804194976 | Large print edition (Random House Large Print, December 1, 2015), cover price $28.00 | About this edition: NEW YORK TIMES BESTSELLERHandsome, widowed, sophisticated, utterly charming, Paul Parker won the heart of a wealthy young Frenchwoman—the daughter of an American financier, the granddaughter of a major French art dealer—as his second wife. 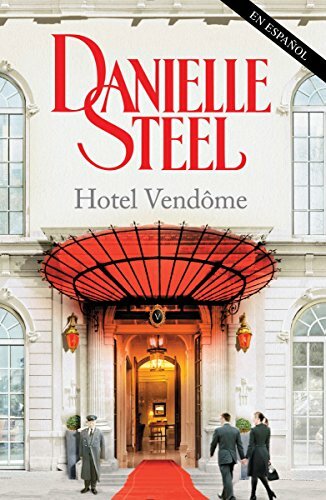 9780345534880 | Limited edition (Delacorte Pr, December 6, 2011), cover price $200.00 | About this edition: This cloth-bound special edition of Danielle Steel’s Hotel Vendôme is enhanced with gold leaf, comes with a special slip case, and is signed by the author. 9781101972243 | Vintage Espanol, June 14, 2016, cover price $15.00 | About this edition: Danielle Steel nos sumerge en una historia apasionante ubicada en el glamuroso día a día de un hotel de lujo en el corazón de Nueva York. 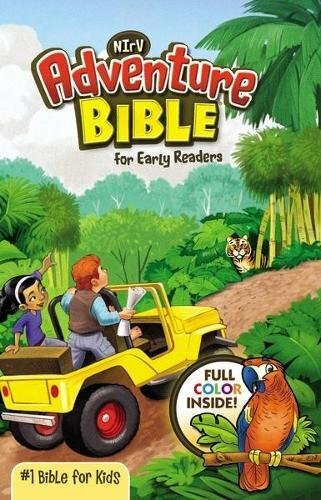 9780440245209 | Reprint edition (Dell Pub Co, October 30, 2012), cover price $7.99 | About this edition: Americaâs #1 bestseller â¢ First time in paperback! 9780552159036 | Gardners Books, October 25, 2012, cover price $13.25 | About this edition: When Swiss-born Hugues Martin sees a small, run-down hotel in New York for the rough diamond it is, he transforms it into a beautiful boutique hotel of impeccable elegance, run with the precision and attention to detail he learned through his hotelier training in Europe. 9780593063095 | Gardners Books, October 13, 2011, cover price $21.55 | About this edition: Swiss-born Hugues Martin has worked for the world's most prestigious hotels, so when he purchases a small, run-down place in New York, everyone thinks he must be crazy! 9781101966914 | Reissue edition (Dell Pub Co, April 26, 2016), cover price $7.99 | also contains Undercover | About this edition: NEW YORK TIMES BESTSELLERMarshall Everett has traveled a twisting, perilous road from the jungles of South America to the streets of Paris. 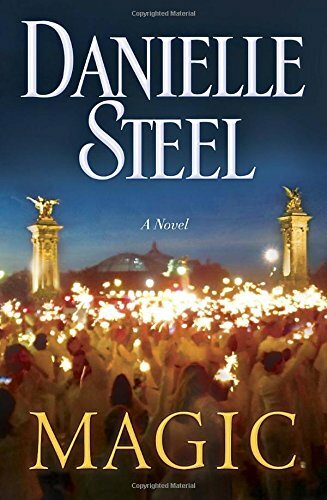 9781511391030 | Mp3 una edition (Brilliance Audio, April 26, 2016), cover price $14.99 | About this edition: A powerful novel from #1 New York Times bestselling author Danielle Steel, about an ambassadorâs daughter who is kidnapped and the former undercover agent who comes to her aid, saving her life in more ways than one. 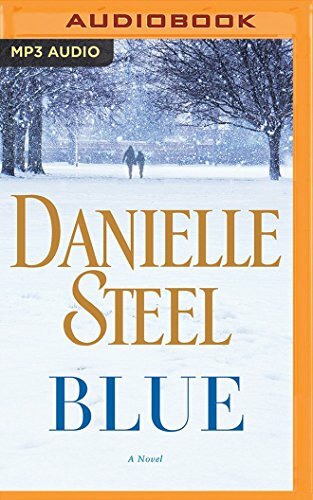 9781511390972 | Unabridged edition (Brilliance Audio, April 26, 2016), cover price $19.99 | About this edition: A powerful novel from #1 New York Times bestselling author Danielle Steel, about an ambassadorâs daughter who is kidnapped and the former undercover agent who comes to her aid, saving her life in more ways than one. 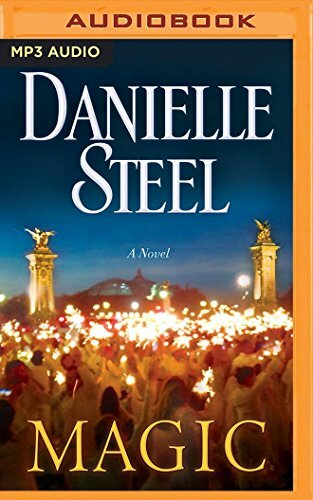 9781455833306 | Unabridged edition (Brilliance Audio, September 1, 2015), cover price $38.99 | About this edition: A powerful novel from #1 New York Times bestselling author Danielle Steel, about an ambassador’s daughter who is kidnapped and the former undercover agent who comes to her aid, saving her life in more ways than one. 9781455833580 | Abridged edition (Brilliance Audio, September 1, 2015), cover price $26.99 | About this edition: A powerful novel from #1 New York Times bestselling author Danielle Steel, about an ambassador’s daughter who is kidnapped and the former undercover agent who comes to her aid, saving her life in more ways than one. 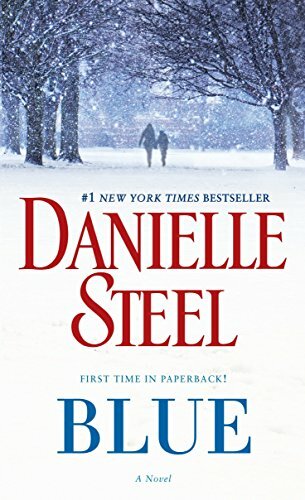 9781455833726 | Mp3 una edition (Brilliance Audio, September 1, 2015), cover price $24.99 | About this edition: A powerful novel from #1 New York Times bestselling author Danielle Steel, about an ambassador’s daughter who is kidnapped and the former undercover agent who comes to her aid, saving her life in more ways than one. 9780345544254 | Limited edition (Delacorte Pr, November 27, 2012), cover price $200.00 | also contains The Sins of the Mother | About this edition: This cloth-bound special edition of Danielle Steel’s The Sins of the Mother is enhanced with gold leaf, comes with a special slip case, and is signed by the author. 9780552159074 | Gardners Books, October 10, 2013, cover price $13.50 | also contains The Sins of the Mother | About this edition: The sins of the mother by danielle steel tells the story of successful businesswoman olivia grayson. 9780440245230 | Dell Pub Co, September 24, 2013, cover price $7.99 | also contains The Sins of the Mother | About this edition: NEW YORK TIMES BESTSELLEREvery woman makes choices. 9780593063132 | Transworld Pub, October 25, 2012, cover price $23.20 | also contains The Sins of the Mother | About this edition: Every woman makes choices. 9781491544952 | Mp3 una edition (Brilliance Audio, September 30, 2014), cover price $14.99 | About this edition: Every woman makes choices. 9781469297118 | Unabridged edition (Brilliance Audio, September 24, 2013), cover price $19.99 | About this edition: Every woman makes choices. 9781469297125 | Mp3 una edition (Brilliance Audio, September 24, 2013), cover price $14.99 | About this edition: Every woman makes choices. 9781423388630 | Abridged edition (Brilliance Audio, September 24, 2013), cover price $14.99 | About this edition: Every woman makes choices. 9781423388623 | Abridged edition (Brilliance Audio, October 30, 2012), cover price $24.99 | About this edition: Every woman makes choices.